If you haven’t noticed, I’m currently addicted to buckwheat. It’s an amazing little grain; nourishing, filling, delicious… and versatile!! 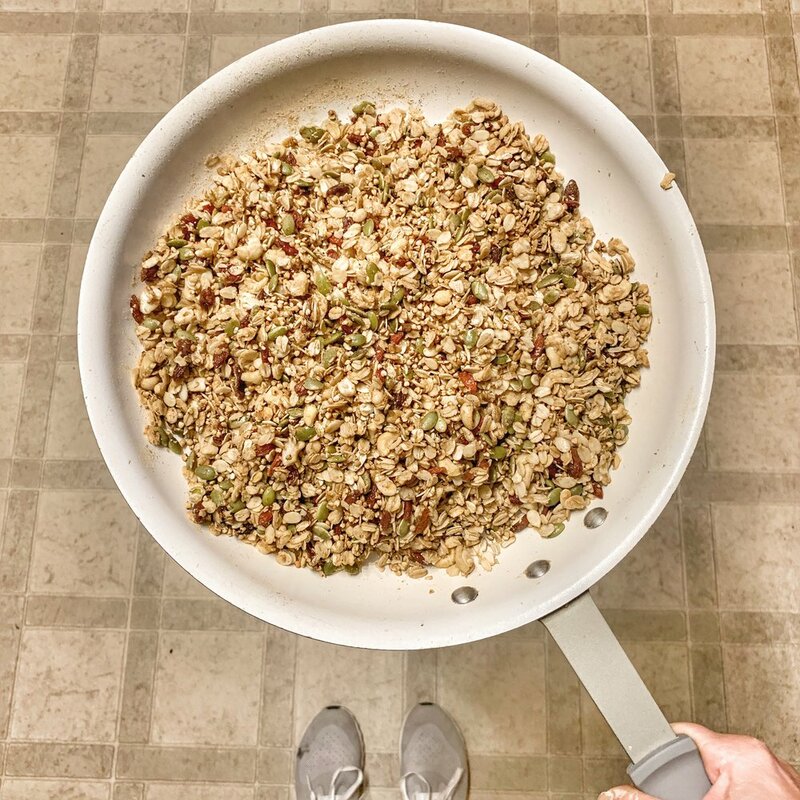 This granola is a stove top version (the only kind I have time to deal with!!) so it’s quick, easy, and not fussy at all. You can seriously have a batch of granola ready for the week in just 10 minutes. Add the buckwheat and oats to a large skillet over medium heat. Stir frequently for 3-5 minutes until the grains are lightly toasted. Then add the coconut oil, stirring to all the oil to melt and coat the grains. Once the oil is melted, stir in the nuts, seed and dried fruit. Stir to combine. Sprinkle in the spices and salt. Next pour in the maple syrup and stir to coat. Turn the heat off. Let sit for a minute, then stir in the powder you’re choosing to use. Stir well to mix everything together then let sit until cool. Once completely cool, start eating or store in a jar in the cupboard for daily use!